Oxygen, a San Francisco-based fintech startup, founded by a solo Egyptian founder, has raised $2.3 million in seed funding from different investors including Digital Horizon Capital, Cynthia Chen, Dubai-based VentureSouq, and Endure Capital, the cross-border VC with offices in the United States and Egypt. 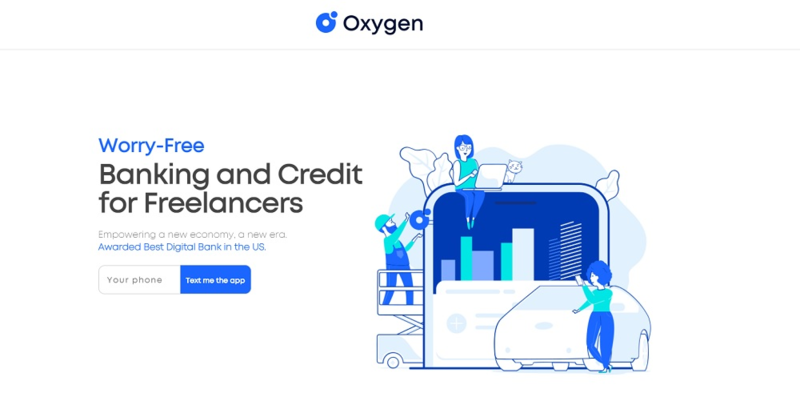 Founded in 2017 by Hussein Ahmed, Oxygen is a digital bank focused on freelancers, offering them access to different banking services and credit – which is not very easy to come by for this very large segment of digital economy. Speaking about his inspiration to start Oxygen, Hussein told TechCrunch that when he tried to take a loan from LendingClub, they couldn’t verify his income and then asked him for ten pages of documentation because he was a freelancer. Oxygen changes all of that. The freelancers can easily sign up on the platform to open their federally insure bank account and receive a Visa© debit card after their identity has been verified. The startup, per their website, allows users to connect their old bank accounts so it can have a look at the financials and offer access to Oxygen Loans. Once a user has their account, they can request the funds anytime through Oxygen’s mobile apps and draw them instantly to their Oxygen debit card. As TechCrunch points out, Oxygen doesn’t charge fees for taking a loan but has a monthly membership fee of $29.99 for users who who draw down their credit limit. “If you aren’t using the cash reserve then you aren’t paying the monthly fee,” Hussein Ahmed, founder and CEO of the startup told TechCrunch. Having graduated from Y Combinator’s accelerator program last year, Oxygen had launched in November. The startup according to its founder has witnessed a MoM growth rate of 80% since launching. Their services are currently available in California only but the startup plans to cover all 50 states and eventually expand to Europe and Asia.